The ever-popular Caci collection is back with this simply stylish Karma Caci necklace. 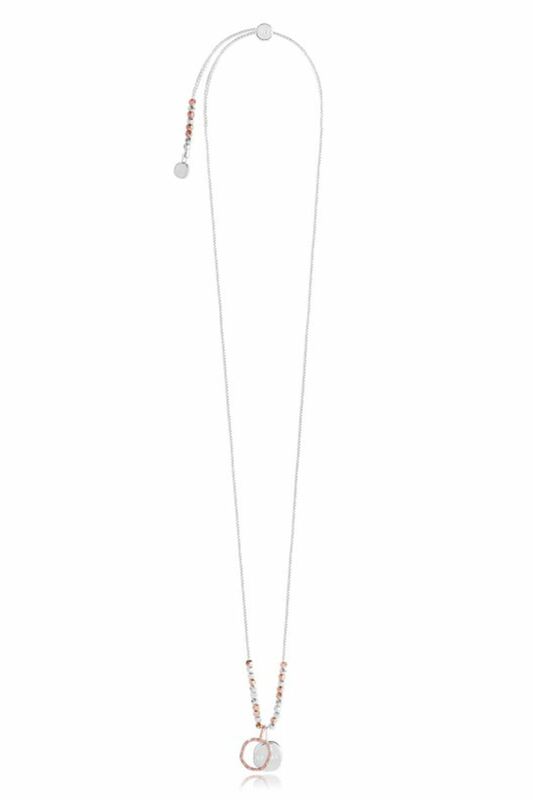 The silver and rose gold Karma sentiment charm falls from a sparkling, faceted 86cm bead necklace. Sure to have you shining all season.